Renting a boat is a different way to fully enjoy the sea, spend a day in any of the coves of the Costa Blanca, or simply the pleasure of sailing with family or friends. Our fleet consists of several aluminum boats with central console, which makes them very stable when sailing, Whaly boats, which you can rent without a license and the Bayliner VR6 (model 2019) to handle it with the PNB. Our rental department is located in the Marina Greenwich marina in Altea. 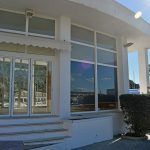 We also have an information and booking office at the Real Club Náutico de Calpe. The boats are equipped with all the necessary safety equipment, to make you enjoy the sea and the sun without worrying about anything. Before sailing, you will be given an introduction to the handling of the boat and the rules of navigation. If you do not have a licence, please contact Euronáutica. After a one-day course you can obtain the RYA certificate or the Navigation License (Titulín). Prices include insurance, mooring and VAT. 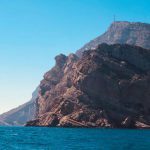 Due to our excellent location, on the N-332 next to the northern entrance to Calpe, and the extensive network of distributors, we have become in the last 30 years one of the leading nautical companies on the Costa Blanca.